Location: The Grand Canal (from Sally’s Bridge, Sundrive to Ranelagh) You can read all about its history here. A truly magical setting just with so much to explore and just ideal for buggies and small wheels. While we were spoiled with the sunshine and saw , in all it’s glory, this is a fantastic amenity for families all year round. Read more about the history and location in the link above.There are plenty of signs directing you around the whole park too, which makes it so much easier to navigate. 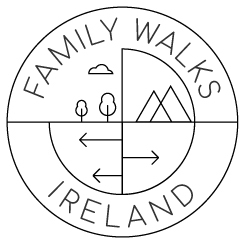 Follow this link to see all the Cork walks we’ve collated so far.